And today, as a culinary expert for Chick-fil-A, Lau has dedicated his career to putting himself in the shoes of Chick-fil-A restaurant Team Members in the kitchen, developing the best methods for refining and executing the processes behind many favorite Chick-fil-A menu items nationwide. To put it simply, Lau “defines the ‘how’ of a recipe” by working with Chick-fil-A’s culinary developers and engineers — from developing a custom radiant toaster to brown the nooks and crannies of the Egg White Grill sandwich to designing a new piece of small ware to chop chicken perfectly for salads. Many days, you can find him at Chick-fil-A’s Test Kitchen, where he experiments with different ingredients for new recipes. “My job is to think of five other ways to make the recipe, so we find the best method that works for every restaurant and results in the same customer experience,” he says. 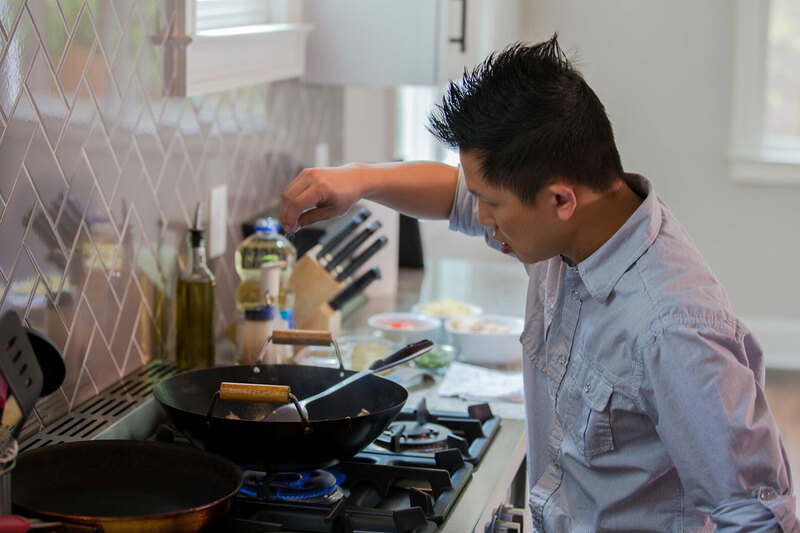 Lau’s culinary journey was far from linear; after working in restaurants through high school, he headed to the Georgia Institute of Technology to study mechanical engineering. After two and a half years, his passion for cooking prompted him to change course and head to the Art Institute of Atlanta instead. It’s here that the intersection of his ability to “speak the food language and understand technical elements” began to take shape. His competitive nature eventually helped pay his way through the Art Institute on scholarship after participating in American Culinary Competitions, which challenged him to develop dishes on the fly using a basket of mystery ingredients. After graduation, Lau was hired on to teach at Le Cordon Bleu College of Culinary Arts in Atlanta, where he took residency as the school’s youngest teacher. The role primed him for his future role at Chick-fil-A training restaurant franchise Operators and team leaders. “My time there was a huge help to what I’m doing today — explaining techniques, methods and ways of transforming food,” says Lau. While he no longer teaches officially, he’s picked up three new students over the years: his three daughters, who often join him in the kitchen to prepare house favorites like mac and cheese and Chinese dumplings. 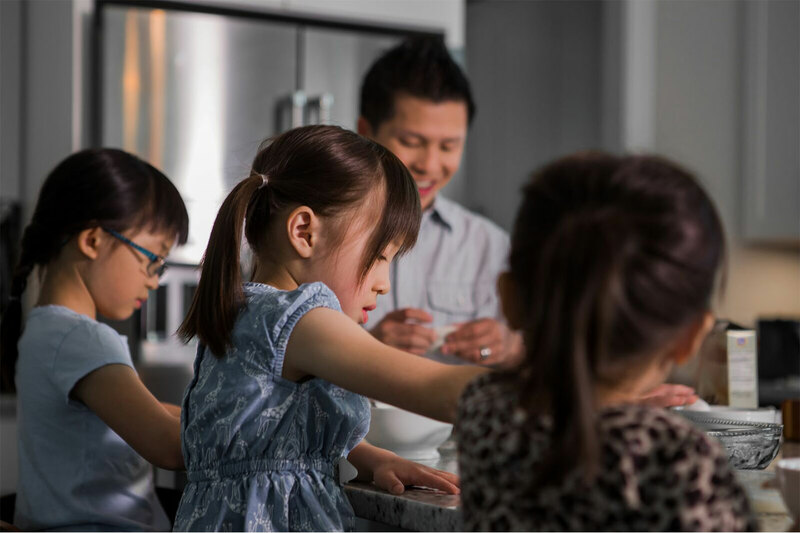 “Cooking together can be hectic, but the most important thing is spending time together and sharing a meal – it’s a unique experience that can be passed on from generation to generation,” Lau says.